RASGULLA - Rasgulla's are rich, soft cheese balls which are soaked in flavoured sugar syrup. 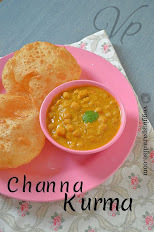 A very popular sweet prepared during festivals throughout India. Bring the milk to boil in a heavy bottomed pan. Add the lemon juice ,stir gently and allow the milk to curdle. Hang up the curdled milk in a clean muslin cloth,pour cold water on the curdled milk to get the rid of lemon's taste and allow the whey to drain off for about 30 minutes. Meanwhile , Mix the sugar ,water and cardamom powder in a large pan. Remove the paneer from the muslin and knead it lightly for a couple of minutes until smooth. Divide the dough into equal size and shape into balls rolling firmely between two palms and flatten them slighlty. When the sugar gets dissolved and starts boiling,slip the balls gently into the pan, cover and cook for 15 - 20 minutes under medium heat. Remove the lid and allow the cheese dumplings to cool down completely. The size will be almost double their original size. Soft and Spongy balls are ready,chill well and serve sprinkled with the sliced nuts. Perfectly made rasagulla..looks soft and juicy..
wow..rasgullas looks so spongy, soft n delicious..perfectly made..lovely pics Aruna! 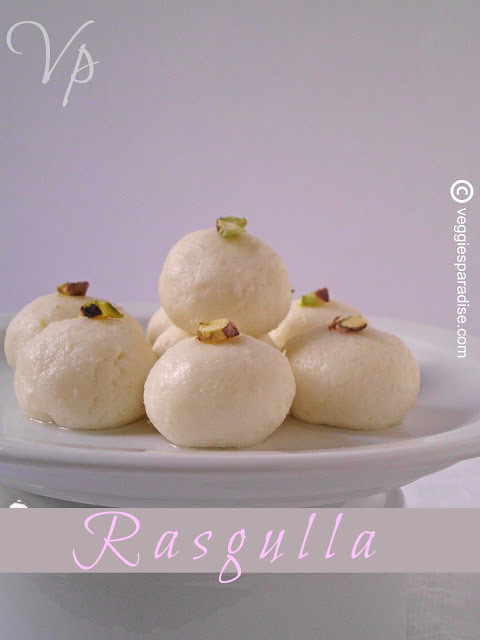 awesome and superb mouth watering rasgulla. awesome rasagulla..looks so spongy n perfect!! 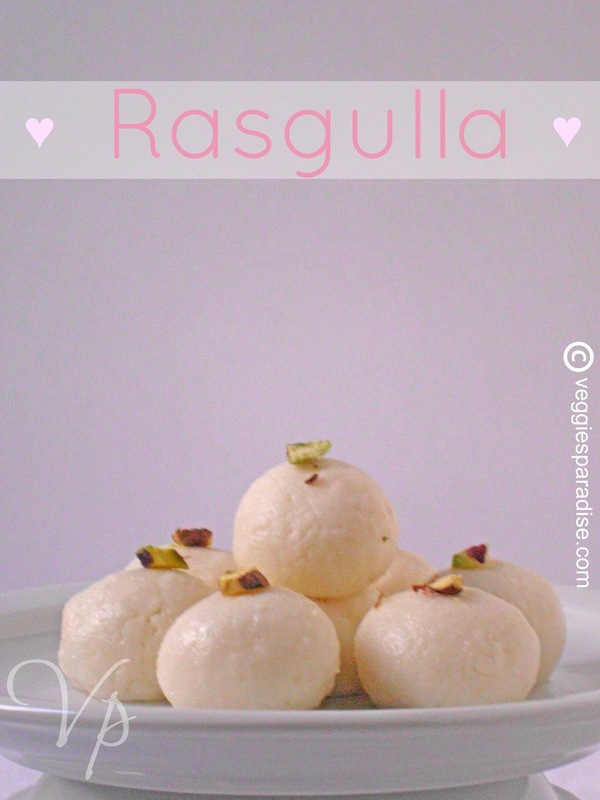 Tempting rasgulla's! 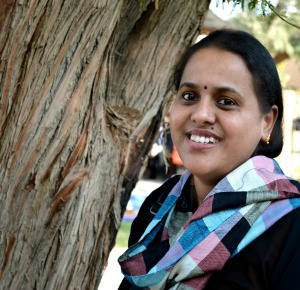 Nice click Aruna! OMG ! That's luk super perfect ! wow, it looks very nice n perfect. u made me drool..
Aruna ,those rasagullas looks so juicy and perfect. Wonderful post with lovely presentation.Very tempting, like to grab one. i love these cuties since i was a child.. i had done it once long time back and it was an utter failure..sure will try again soon /...u are tempting me with such lovely clicks..